Home Buying 101: How Much House Can I Afford? I had a client say to me “I only have $500 in the bank” can I afford to buy a house? I was truly appalled in this day and age with so much information online to think that he would be able to buy a home with only $500 in the bank. I reserved judgement as at the time I didn’t know what type of lifestyle he had or if he might have been going through a rough patch in his life. When you are thinking about buying a home it will definitely be more than just $500. You are certainly not buying a toy. Here are some things you need to think about and be ready for. 1.) How much money do you make? If you’re single and make $35,000 a year, then you can probably afford only about a $105,000 home. If you’re single and make $25,000 a year, then you can probably afford only about a $120,000 home. Here’s the problem ? with the example above, we are not taking into consideration if you are married, how much debt you have, your credit score and the downpayment money. We are only looking at the income alone. This is a very personal question and will only apply to your situation. You must look at ALL debt these include car payments, student loan payments, bank loans and credit card payments, furniture, jewelry payments and much more. Sometimes you won’t even know if you have charge off accounts or lingering debt until you check your credit report. I would recommend speaking with a loan officer even if you are planning on buying in 2 years. An online credit report like credit karma or free credit report normally won’t have all 3 credits bureaus on it and they will charge you if you want to get all 3 (Equifax, Experian, TransUnion). Reading all this may not make any sense. My recommendation is to speak with a loan officer and get your report from them as if you were going to get a home now so they can accurately tell you what’s is going on with your report. 3.) What’s my credit score? A credit score is a three digit number calculated from your data-rich credit report and is one factor used by lenders to determine your creditworthiness for a mortgage, loan or credit card. If you are looking to find out how much home you can afford one of the factors taken into place is your credit score. Here is the scale. In order for you to qualify for at least an FHA loan you must have a minimum of at least a 620 score. The higher the number on the score the better it will be for you to get a low interest rate. As you pull your credit report there will be 3 scores due to the 3 credit bureaus TransUnion, Equifax & Experian they are all different. One credit bureau may have unique information captured on a consumer that is not being captured by the other two, or the same data element may be stored or displayed differently by the credit bureaus. All of your credit information may not be reported to all three credit bureaus. The information on your credit report is supplied by lenders, collection agencies and court records. Don’t assume that each credit bureau has the same information pertaining to your credit history. When a lender pulls up your credit he/she will be taking the middle of your 3 credit scores, or lower of your 2 credit scores (if you don’t have a 3rd score) is used for qualifying purposes. One last item at hand when you are trying to figure out how much home can you afford is the debt-to-income ration which is all your monthly debt payments divided by your gross monthly income. This number is one way lenders measure your ability to manage the payments you make every month to repay the money you have borrowed. Your debt-to-income ratio plays a huge role. It’s a number that can impact whether or not you’re getting a mortgage in the first place. To calculate it, you must take into account all of your monthly debt payments and divide the total by your gross monthly income (the amount of money you earn before taxes). For example, if you pay $1,500 a month for your mortgage, $100 a month for an auto loan and $400 a month for the rest of your debts, you pay a total of $2,000 per month toward debts. If your gross monthly income is $6,000, then your DTI ratio is 33%. 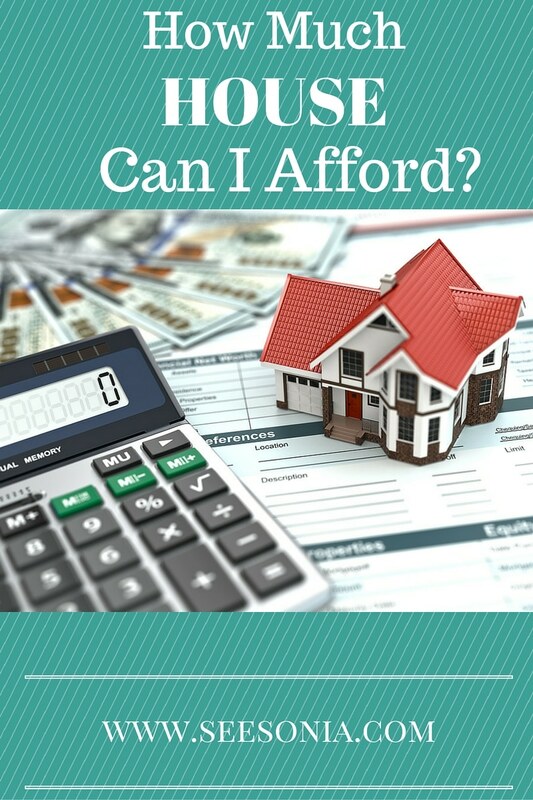 Below is a quick calculator link to find out how much home you can afford but entering your numbers.